Preparing for my trip to the Dominican Republic (my native country) has been very exciting because as I mentioned in "How I Pack My Checked Suitcase" One of the things I love about traveling is... well... packing! And no, I thought about it and I don't think that's weird at all. It's part of the process that will lead you to the most magnificent of trips. Of course, that's what I expect from any trip I take, anyways. Packing a carry on suitcase can be fun and rewarding! 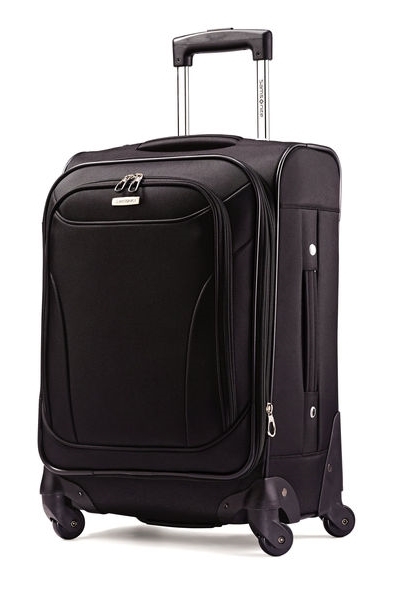 Since I have already tackled my bigger suitcase, a Samsonite Bartlett 29" Spinner (I chose to also travel with a carry on suitcase because this trip is for 2 whole months). As much as I wish to, this girl just cannot pack 2 months worth of stuff into a tiny carry-on. No, no. Before, I used to pack everything that didn't fit into my suitcase in my carry- on (although that is all fine and dandy). But now, times have changed and we are wiser, people. My carry-on suitcase, which is the Samsonite Bartlett 20" Spinner will be my savior in case of an unexpected lost luggage. 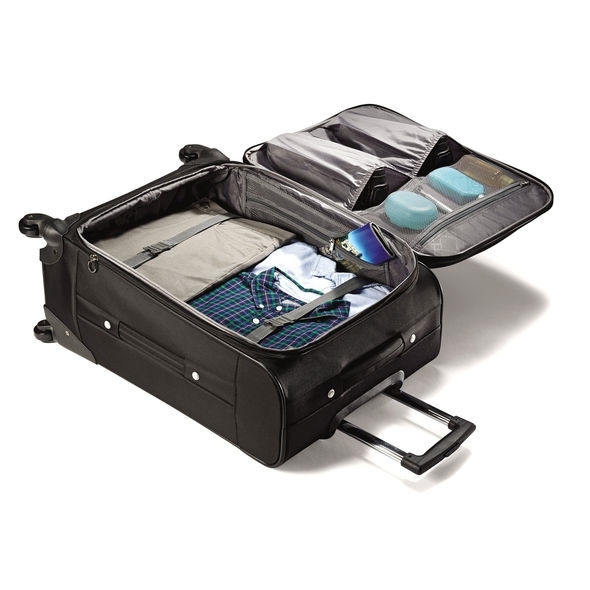 ***These are suitcases 22" or smaller as they will easily fit in most airplane overhead compartments or under the seat. I pack a fresh change of clothes, including underwear and socks as one never knows if our checked luggage even made it to the destination until we're waiting at the carrousel and it never shows up. NOT cool!! At least I'll be able to change clothes if I have to. Now, granted this is very rare, but there's no such thing as being too prepared. Once I get to my destination I like to change clothes anyways, and if it is packed in my carry-on it'll be easier to spot it. I'm all for the grab & go. I managed to squeeze in an extra USB cable and back up earphones too. For this same reason, I like to pack my essential toiletries following the TSA 3-1-1 rule. 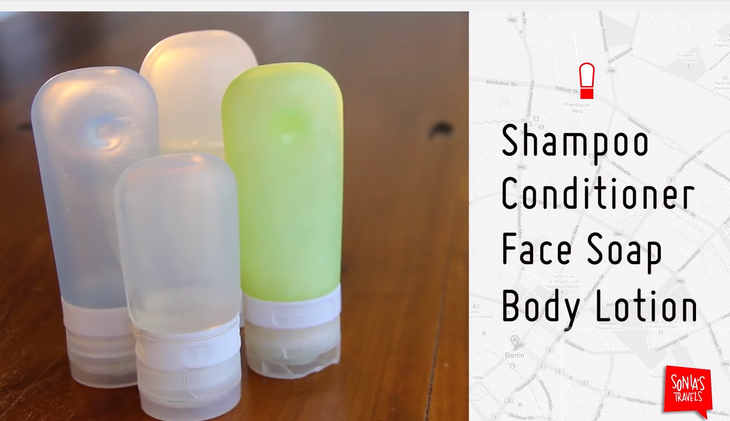 All bottles should be 3.4 oz or smaller and placed inside a clear quart size ziplock or bag (mine came with the suitcase unexpectedly). Cream/Lotion, Wipes, Deodorant, Body Mist, Lipbalm, Hand Sanitizer, Toobrush + Toothpaste and essential makeup. 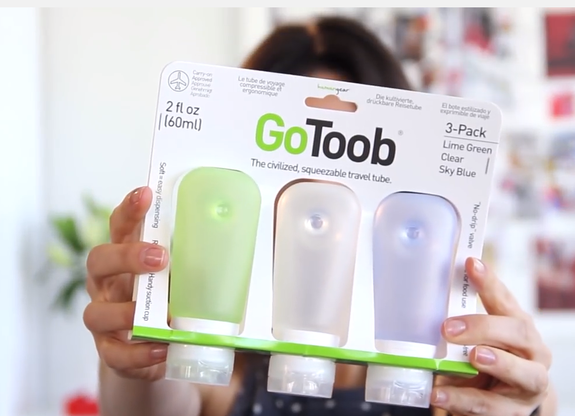 *** If I am lucky, all these products will come in a container smaller than 3.4 oz, but if they don't then I will use something like the GoToob by the company Human Gear. Sonia from Sonia's Travels on youtube talks about them. She was the one who introduced such amazingness to me. Thanks! Here is a direct link to her video. I laid my towel as flat as possible on the base of the carry on to save space. Rolling it would just be too bulky, don't you agree? But mami (my mom) suggested that instead I put them in my carry-on suitcase as they are heavier (the truth is, it is very rare for this suitcase to ever reach over 42 pounds so you can fill it with as many things as you want). What does this mean? That your checked suitcase (the one that should not weigh over 50 pounds) will now be freed from unnecessary weight, especially if you over-packed it. I listened to her wise advice and tightly rolled them in my carry on. Notice all the space I have left (thanks to the packing cubes) for other things I actually haven't packed yet, like shoes, shampoo + conditioner etc. Removing the jeans from here made the suitcase weigh literally 35 pounds compared to the original 44. The next thing I like to make sure I pack are my electronics. These include, laptop, phone, camera, Clarisonic AND their chargers. There is nothing worse than being on a plane with our laptop and realizing we've packed our charger in the checked luggage. It is possible, yes. It has happened to me. Also, NOT cool. (I actually may put the electronics inside my carry-on bag the day of the trip and not the suitcase as I'll be putting that one in the overhead compartment and don't want to be opening my suitcase in the airplane in search for them). I then pack my everyday purse with all its usual stuff inside so that I can grab & go once I get to Punta Cana. Don't forget your everyday purse! I finished by packing it all into the carry on suitcase. 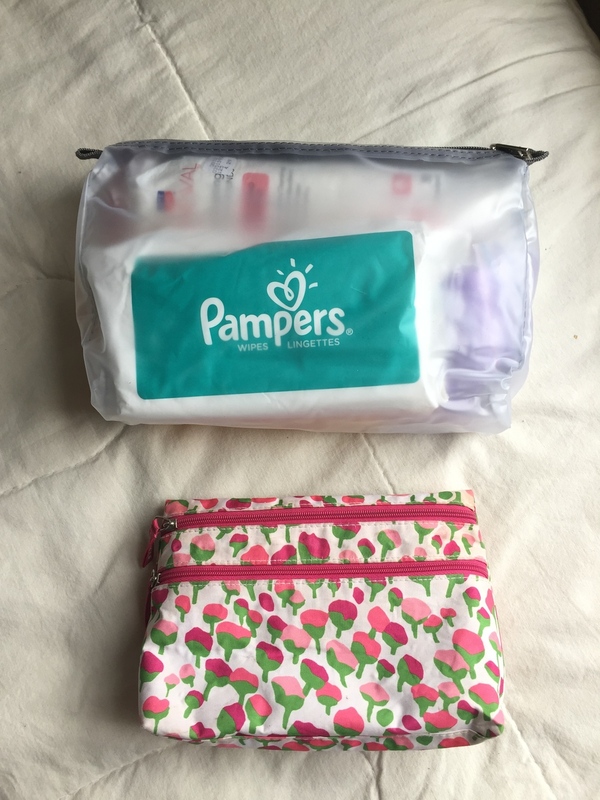 You may be wondering why I am packing things like feminine pads (come on, this can be a topic of discussion) or a loofa, and it is simply because in the Dominican Republic I may not find the ones I prefer. If in doubt, just pack it. My makeup bag and small packing cube fit nicely in the shoe compartment. In the front compartment I will store my purse and journal for easy reach.